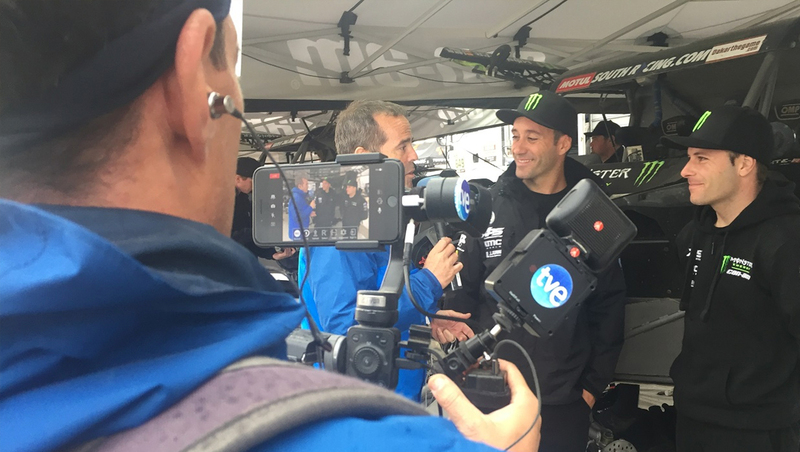 Spanish public broadcaster RTVE deployed TVU Network’s Nano Router and TVU Anywhere to contribute SDI video over wireless networks from the remote and difficult conditions of the Dakar Rally in Latin America live to the RTVE studio in Barcelona. The Dakar Rally is renowned off-road rally endurance race that has been going on for more than 40 years. The IP streaming videos, which were aired live on RTVE flagship channels La 1 and Teledeporte, were shot on smartphones, transmitted over local mobile networks, and delivered as HD-SDI output feeds to RTVE’s studio. It achieved this due to the ability of the TVU Anywhere app to aggregate mobile data from the smartphone and the compact TVU Nano Router, used as an additional hotspot enabled by three SIMs. Getting video back from the incredibly hostile environment of the Latin American deserts where the Dakar Rally takes place is a big achievement, according to RTVE. However, the combination of the TVU Anywhere mobile application and the TVU Nano Router provided such high-quality video coverage of the rally. This year the reliability, quality and low-latency of the TVU solution enabled the network to go full-screen and live with HD SDI output from a smartphone. TVU Nano Router is designed to be the smallest possible hardware solution for the high-quality contribution of video over WiFi, Ethernet and cellular networks. TVU Anywhere is a powerful app for capturing and streaming live video from anywhere, delivering picture quality usually reserved for more expensive professional video equipment. TVU Anywhere also features remote pan-and-zoom allowing an operator in a studio to control the camera remotely without intervention from the user in the field.